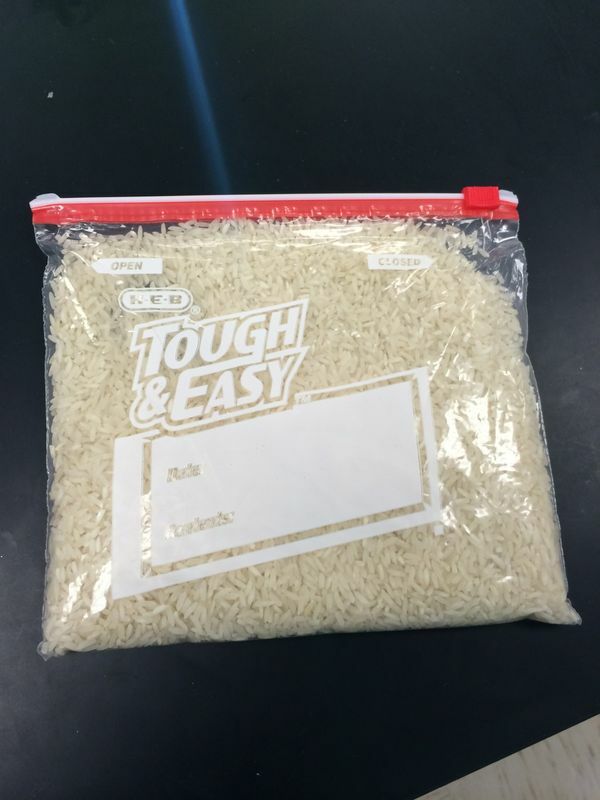 Chemistry students calculated (and estimated) the number of grains of rice in a Ziploc bag. I was so excited to see students making an estimate that they believed was too low as well as too high (in addition to their 'just right' guess). This is good pedagogy. 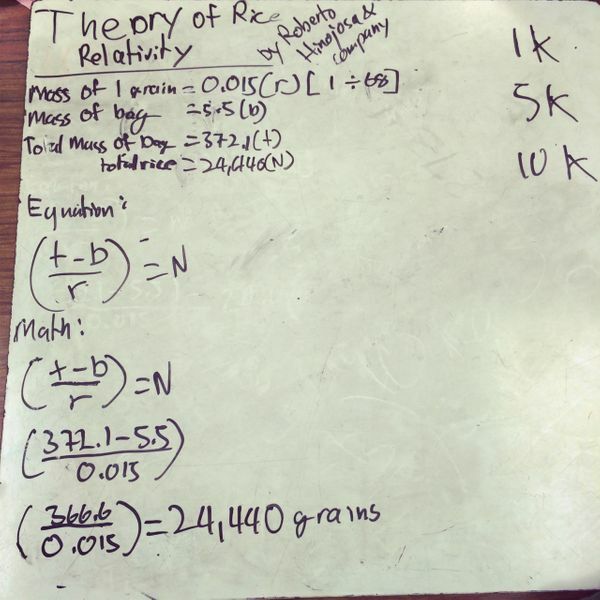 I haven't doubled checked the math on the whiteboard, so if you see a mistake, send the picture over to www.mathmistakes.org, a great blog post for (math) teachers!